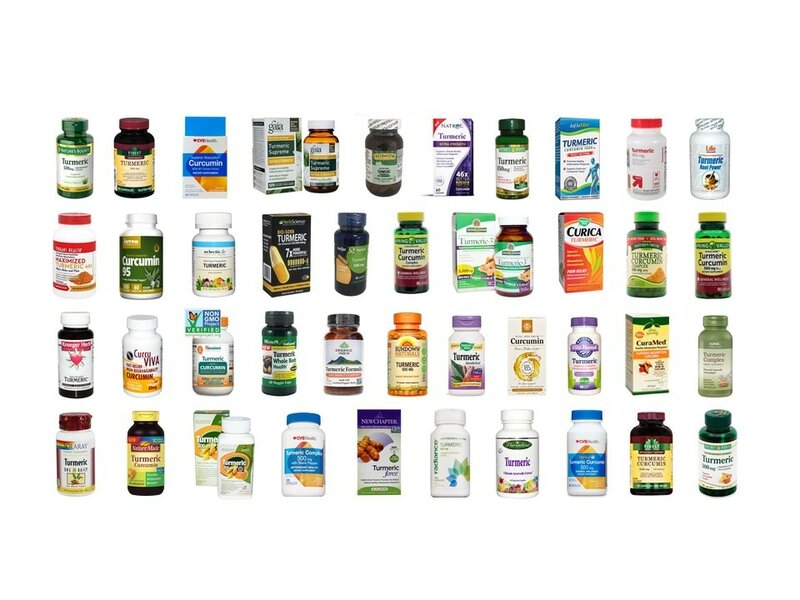 Advanced Orthomolecular Research, CVSHealth, Eclectic Institute, Finest Nutrition, Fresh Thyme, Gaia, Genceutic Naturals, GNC, HerbScience, Himalaya, HNS, Jarrow Formulas, Kroeger Herb Co, Life Enhancement, Mason Natural, Meijer, Natrol, Nature Made, Nature's Answer, Nature's Bounty, Nature's Truth, Nature's Way, NewChapter, Oregon's Wild Harvest, Organic India, Paradise, Radiance, Solaray, Solgar, Spring Valley, Sundown Naturals, Terry Naturally, up&up, Vibrant Health. Turmeric supplements containing turmeric extracts and curcuminoids are marketed for their anti-oxidant and anti-inflammatory activities. These supplements may be recommended by your personal trainer to fight fatigue and inflammation after exercise. Turmeric or curcumin may also be helpful in treating several inflammatory diseases. Although recent reviews evaluated turmeric/curcumin supplements – these reviews are usually focusing on customer service, value rating, curcuminoid concentration, suggested dosage, published studies and subjective customer rating. These reviews are NOT evaluating the ACTUAL anti-oxidant or anti-inflammatory efficiency of specific dietary supplements. Do you want to know which turmeric/curcumin dietary supplements are worth your money? DSTest Laboratories tested 41 turmeric/curcumin dietary supplements for their anti-oxidant and anti-inflammatory activity and evaluated their absorption. DSTest Laboratories found that you will pay 23 cents to 26.39 dollars to reach recommended daily dose. Moreover, you will have to take one (1) or thirty three (33) capsules at once. Do you want to know what is the Right Price for your efficient turmeric supplements?